Dogs are animals of integrity. We have much to learn from them. Now available, Get your copy! Try the Book for Free! Dogs can sniff out these medical conditions. It stretches the mind beyond imagination! Why dogs are so good for us. 350.org The headline on the website says, “We’re building a global movement to solve the climate crisis.” Say no more! Dog Kisses's Blog Dogkisses’s blog is a personal life, health and story blog. Dreamwalker's Sanctuary A Sanctuary for Inspirational Thoughts of Light, Love and Peace. For the love of the dog! Wonderful passion about all matters canine! Freedom to Survive Nakibul Hoq, blogging from Bangladesh in the city of Dhaka. Naked Capitalism How Yves Smith finds the time to produce the huge volume of articles and website links every day is beyond me. Patrice Ayme A thinker in pursuit of truth. Patrick Smith Photography Beautiful planet Earth. Spirit of Now Peter Russell’s very thoughtful journey. Transition Culture This important site explores the emerging transition model in its many manifestations. All contents are copyright of the authors. 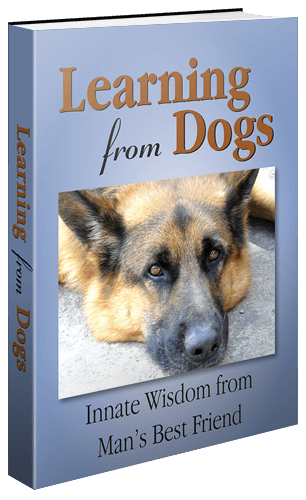 Learning from Dogs is a trademark of the author.